BRYAN EATON/Staff Photo. 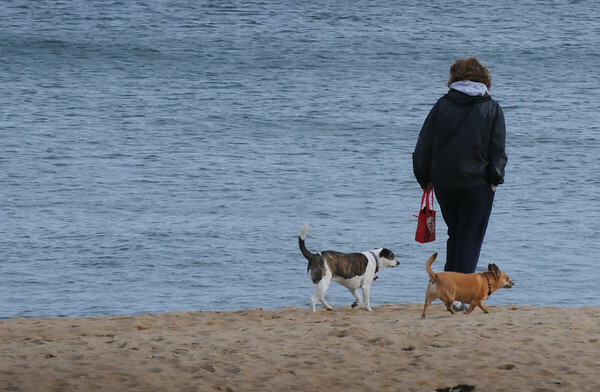 Yesterday's above normal temperature brought many dog walkers out to Plum Island beach, a popular place for them to go in the winter. A nine-member committee designed to study the municipal services needed on Plum Island have identified a wide variety of issues, from lifeguards, dogs, public restrooms and parking at the beach to trash pickup, streetlights and possible revenue sources to help fund it all.